It’s that time of year again. The cold weather is setting in, we are spending more time inside, and craving warm, hearty meals. Making soups and stews is one of my favorite ways to pass the time while I’m cooped up inside. One of my favorite soups to make is chicken tortilla soup! 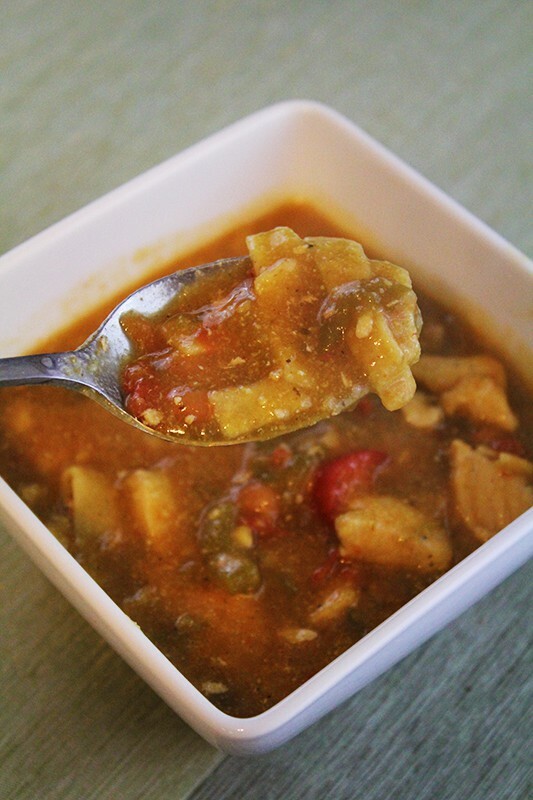 Chicken tortilla soup is a spicy, salty and heart-warming soup that is always a hit in my home. It has the perfect blend of Mexican spices, with chunky bits of chicken, beans and soft tortillas. In the same pan, warm remaining olive oil over medium heat and add onion and pepper, cook 3 minutes, or until onions are translucent and peppers are softening. Add in garlic and cook another 30 seconds. Add in broth, hot water, green chilies, tomatoes, cumin, chili powder, garlic powder, salt, and tomato paste. Simmer for 20 minutes. Whisk together cornmeal with a small amount of water. Slowly add to the soup, stirring until incorporated. Add in pinto beans, then and simmer an extra 15 minutes. Add in corn tortillas and simmer an additional 5 minutes, before serving. Garnish with avocado, sour cream, cilantro, and/or pico de gallo. Looking for other Mexican food dishes? Calabacitas: Fresh sauteed squash and onions make the perfect side dish! Homemade Salsa: Grab a bag of tortilla chips to serve with this homemade roasted salsa as an appetizer! What is your favorite Winter soup or stew? Do you like spicy dishes? Looks delicious! 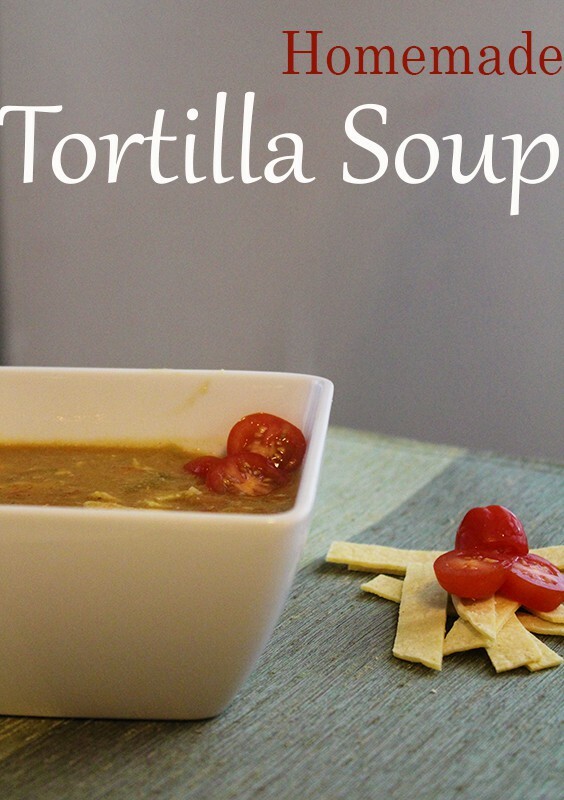 I’ve been looking for a good Tortilla Soup recipe. Thanks so much for sharing.